← Is Weird Al the King of Content Marketing? Are You Wrecking Your Job Search? There’s no recipe that guarantees job search success, no list of ingredients that solidifies your standing as a reputable and desirable candidate. Job search success is largely about preparation, but it’s also about timing, personal connections, and good old-fashioned luck. It’s also a bit of a mental game. You need to have a solid resume and an optimized LinkedIn page, it’s true—but if your head’s not in the right place, you may still find your job search to be fruitless. Are you in the wrong headspace for job search success? 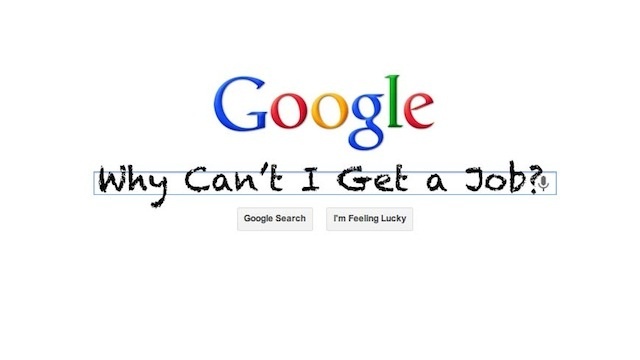 Are you falling prey to some of the common, classic job search errors? We’ve listed just a few of them below. This job search error can take different forms, and it largely depends on how old you are. Young people—in particular recent college graduates—can often feel entitled, like the job force owes them a position. It doesn’t, and this kind of attitude—usually quite perceptible to employers—is a huge turn-off. Older jobseekers face the opposite problem. They often assume that because they are over, say, age 50, there’s just no position open for them, which isn’t true at all—but believing it to be so can wreck your confidence. Fill in the X with whatever career portal you like—whether it’s Monster.com or simply LinkedIn. There are a couple of problems with thinking the only way to find work is to be active on one of these sites. The first is that, if anything, you’re going to want to be active on multiple job sites and networking platforms; you can’t afford to put all your eggs in one basket. More importantly, though, you have to realize that a website isn’t going to hire you; a person is going to hire you. Relationships, human connections, face-to-face meetings—even in our increasingly digital world, are all things that are still incredibly important. Your previous positions and your degree are important, but they’re not the sum total of who you are as a candidate. You have passions, interests, and personality traits that you bring to the table, some of which may not be neatly summarized on your resume. Being a winning conversationalist or a fast learner, these things can’t be taught—and as such, they’re often what employers are truly looking for. If you have a job interview at 10:00 in the morning, you’re probably not going to have an offer waiting for you when you check your e-mail at noon. In fact, it may take three or four days, if not longer, before you hear back anything at all. That’s all well and good—but you’re by no means obliged to simply wait for hiring managers to get back to you. You need to stay active and keep looking, even as you anticipate news from an interview that you think went well. Getting your mind right is an important part of the job search process, and can help you avoid major job search mistakes. To learn more about how Grammar Chic can help you in your job search, we invite you to contact us today: Call 803-831-7444, or visit http://www.grammarchic.net.